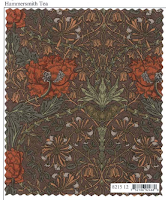 Just a quick note today to let folks know about a new line of William Morris reproduction cotton quilting fabric that has just been released. 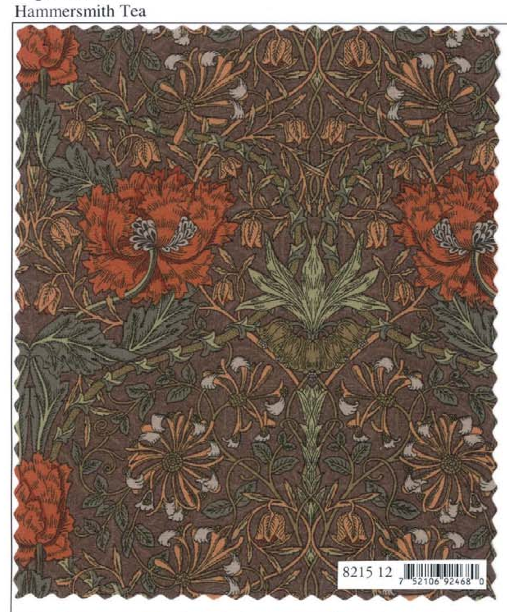 Barbara Brackman has another gorgeous line, called Morris & Company, and it is available as a Moda fabric. So far, Sharon has only found it at one US online fabric store, Hancock's of Paducah, but she's sure it will pop up at more of them soon. She needs to figure out just how much is needed for her planned master bedroom quilt project, and order a couple more large pieces (for the backing, borders, bindings, etc. ).